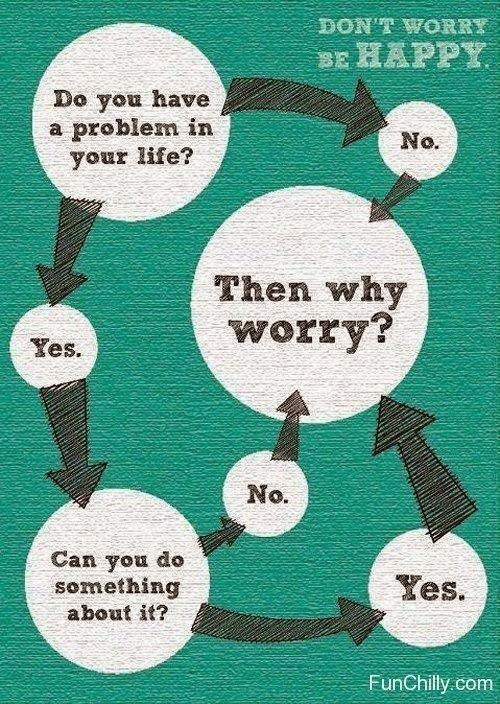 Words from my life...: Why worry? I know that I have rarely visited my blogs since the begining of the school. I'm very busy with homewoeks and tests paper. I was excited to see my collegues, my teachers, my old school. Three students left our class. One boy left us for football, a girl for painting and other girl for more good studies. I wrote a message to the boy to say him goodbye from class part (last year I was the head of my class). And with the 2 girls I talked with them last week. The 2 girls are satisfied of them class. Out of that, they have finally found their dream in life, I understood. I'm glad for my girls! Good luck, darlings! On other side of my life's way I'm still a child. Look, I still remember that! :) (I mean that other children have forgotten this lately...:( ) I'm happy because God bless me with a wonderful family, lovely, funny and sweety friends, a big car (because our old car was so small for our big family), health, wisdom, talents.... for everything I have from Him. I thank The God for days from my life. Thinking at this, I become more happy that I was before. God don't make the humans to be sad. Try to be more happy, to be more patient and everything will be better than it was. Have a nice evening and an easy week! :) Don't forget: be happy and thank the God!